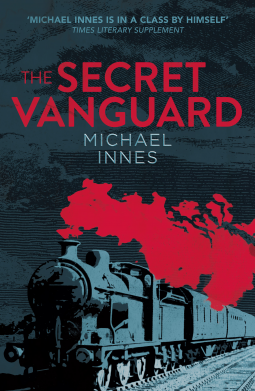 I only discovered Michael Innes last year, but I’ve now read several of his books and enjoyed them all, some more than others. Lament for a Maker is my favourite so far. I haven’t read this one yet but it sounds like another good one! Thanks, Helen – I’ll look out for Lament for a Maker. I still haven’t read Hamlet, Revenge!, mainly because my paperback copy is in such a small font. I should probably get it on Kindle. I’ve had Death at the President’s Lodging on my tbr pile for more years than I care to remember. I think I’d rather read this one you’ve reviewed, sounds much more fun. I think you would like it, Cath. I enjoyed Death at the President’s Lodging but you do have to concentrate to follow all the complications in it. The Secret Vanguard is complicated but easier to follow.